Why have I read Homer’s Iliad fifteen or twenty times? The simple answer is that I have taught it many times and each time I teach a book I like to reread it. Of course, that answer is insufficient. I obviously could teach the book without rereading it, and besides, no one requires me to teach this particular book. So why have I read Homer’s Iliad fifteen or twenty times? A better answer is because I love it. As I said earlier, I like to think of books—the physical objects, books—as holding a world that I can enter; and as I also said, some of my best friends, some of the people I know best, live in books. When I read these books, I visit with these friends. Furthermore, I find The Iliad to be so profound, so true in what it says about being a human being and living in this world, that it never fails to make me see and understand the world differently and, I hope, better. For a number of reasons, The Iliad is different from most of the literature we are accustomed to, and it helps to know something about those differences and the reasons behind them before reading the poem. It is worth stressing, in the first place, that when we read The Iliad, we are reading a poem. There are many fine translations of The Iliad, and some of them translate the poem into prose. My feeling is that it is vital to read a contemporary poetic translation that captures the feeling of the original Greek. None does this as well as the translation by Richmond Lattimore, though, to my ear, the more recent translation by Robert Fagles is a close second. But The Iliad is not simply a poem the way, say, a verse work by Wordsworth is a poem, for the story of its creation was entirely different. To explain what I mean, I must condense the work of many scholars who know this material far better than I do. The Iliad is about the Trojan War, but was there really such a thing as the Trojan War? Apparently there was, at some time in the late thirteenth century BCE. Was it fought over Helen of Troy and did it include great heroes from all over Greece and Asia Minor? Probably not. Actually we know very little about the war itself. The site of the war, at a spot in Turkey now called Hissarlik, has been identified, but the war itself was undoubtedly a relatively minor trade war of the kind that took place fairly frequently. The Trojans and some ancient Greek tribes were fighting over who would have commercial ascendancy, and the war itself, which was certainly important to those who took part in it or to those who suffered from it, was hardly crucial for the course of world history. But out of that war grew a series of legends that, over the course of several centuries, became The Iliad and The Odyssey (and a number of other poems that have mostly disappeared but that constituted a whole cycle of poems about Troy and the heroes who fought there). How did that transformation occur and what does it mean? The answer is that no one knows for sure how it occurred, because the records we have come from much later, but apparently the legends were handed down orally from generation to generation, were combined with other legends about other legendary figures, and over the course of several centuries evolved into the intricately wrought and powerful poem that we now call The Iliad. The Iliad, then, is a work of composite authorship: it was put together over a long period by many bards, and the version we have, which was written down in about the eighth century BCE, represents only one version of what was even then an enormously popular story. This account of the poem’s origin does raise one other interesting question: who was Homer, whose name is always associated with the poem? The answer is that we really do not know if there ever truly was a person named Homer who was involved with The Iliad and The Odyssey, and it is of no great importance whether or not such a person existed. On the other hand, this account of the poem does solve a number of problems in the poem. For example, the language of The Iliad is a kind of artificial, literary language that includes words from several ancient Greek dialects. The composite authorship of the poem over a lengthy stretch of time could help to explain this oddity, just as it explains why the poem describes warriors wearing armor from different historical periods or why it describes different burial practices that did not coexist. Obviously these elements from a variety of historical periods became part of the poem and were not updated or reconciled even when the historical reality changed. Furthermore, I have not referred to the “author” of The Iliad, since, according to this account of the poem’s origin, it had no single author. Until it was written down in the eighth century, it existed only in the memories of those bards who were trained to recite it at the various festivals that were celebrated in those days. The ancient Greeks, however, lived in a culture that was primarily oral rather than visual, so that their notion of memorization differed from ours. If I wanted to memorize a poem by Adrienne Rich, which was created and continues to exist as a written text, I could look at the poem and try to memorize a few lines, then look away and recite the lines, then look back to correct myself, and continue in this way until I either memorized the poem or gave up. I would do it in this way because I am a product of a print culture, and I am used to having printed texts to which I can refer when I want to look something up or check a fact. But if I lived in an oral culture, I would depend on people whose job it was—and a prestigious job it was—to remember everything that was important to my culture, and such things would often be remembered, for mnemonic purposes, in verse. (In fact, the word “mnemonic” comes from the name of the Greek goddess Mnemosyne, Memory, who was the mother of the Muses, the goddesses of the various arts, including history. The narrator of The Iliad asks one of the Muses for her aid in the first line of the poem.) Of course, many of the things that people thought were worth preserving in memory actually were stories that were considered expressive of the culture’s deepest values. In ancient Greece, The Iliad and The Odyssey were among the poems preserved in this way. But an oral reciter (in Greek, a rhapsode) did not memorize a poem the way we would memorize it. The rhapsode knew the story, knew the individual characters and episodes; but each time the rhapsode recited the story, he recreated it. This technique helps to explain some things that we may find peculiar when we read the poems. A similar explanation exists for what are called the epithets in the poem, phrases that are usually associated with the names of places or characters. Over and over, for instance, we read of “resourceful Odysseus” or “brilliant Diomedes,” and we may be tempted to wonder why the composer of the poem used the same descriptive terms so often. Again the answer has to do with oral composition. A person who was reciting the poem in front of an audience was under a number of constraints. 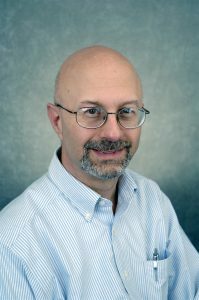 First, he had to keep the poem going, but he also had to follow a particular metrical pattern that involved patterns of long and short vowels. (By long and short vowels, the Greeks did not mean the difference between “a” as in face and “a” as in fact, the way we do. They meant how long the vowels were held, which was dictated in part by grammatical rules.) The reciter could hardly pause while he thought about what came next. Instead, he would use these epithets, which were designed to fit the metrical patterns at particular places in the lines. They were, perhaps, a kind of crutch that the rhapsodes used, but they also add to the mood of the poem. If we read the poem out loud rather than to ourselves, and if we try to make our reading even the slightest bit dramatic, those epithets can lose their repetitious quality and we can start to appreciate the contribution they make to the poem. In order to enjoy fully a poem like The Iliad, it helps to know this background about how an oral poem was put together. 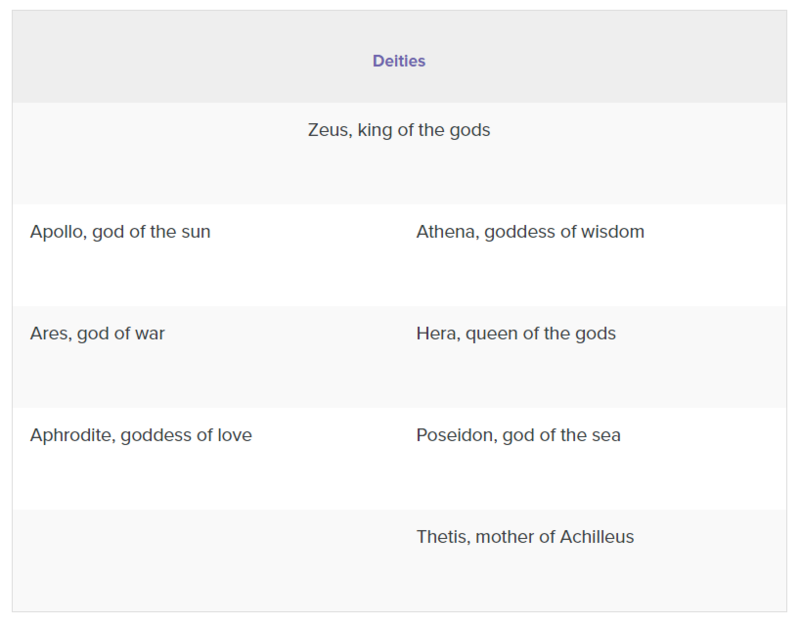 It is also essential to know the mythological background, because even if the ancient Greeks modified their beliefs in the various deities over time, they certainly knew who those deities were, just as they also knew the mortal heroes and heroines. There are hundreds of characters mentioned in The Iliad, but there are really only a few that the reader must know intimately. And there is, of course, a background story that the ancient Greeks knew and that the modern reader has to know. After all, the siege of Troy lasted ten years and the story of the Iliad covers only fifty-four days toward the end of that ten-year period. So what happened earlier? Long before the beginning of The Iliad, a relatively minor goddess named Thetis fell in love with a mortal named Peleus. As so often happens in mixed marriages, this marriage had its problems, and one of the problems began at their wedding, when Eris, goddess of discord, suddenly appeared, complained about not having been invited (who would invite Discord to a wedding, after all? ), and threw a golden apple among the guests, declaring that it belonged to the most worthy of the goddesses. Clearly there was a reason that she was the goddess of discord, and discord immediately broke out, as three of the goddesses, Hera, Athena, and Aphrodite, each claimed to be the goddess worthy of the apple. Their discussions (to use the polite word) over the apple went on for many years, until finally they agreed to allow a young shepherd to decide among them. The young shepherd was Alexandros (also called Paris) and he was the son of Priam, king of Troy. Each of the goddesses, in the spirit of fair play for which they were known, tried to bribe him with their special gifts. Athena offered him wisdom, Hera offered wealth, and Aphrodite offered him the most beautiful woman in the world. Obviously it was no contest, and Alexandros awarded the apple to Aphrodite, thereby earning the eternal enmity of Hera and Athena for himself and his city. All of Homer’s audience would have known this before the poem began, just as they would have known that Aphrodite rewarded Alexandros by giving him Helen, the wife of the Spartan king Menelaos. (Whether Alexandros kidnapped Helen or whether she ran off with him is not entirely clear in Homer’s version of the story. In Aeschylus’ dramatic version of the story from the fifth century, she ran off with him.) 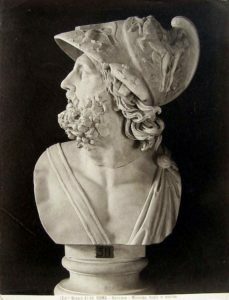 Menelaos’ brother Agamemnon, who was the king of the Mycenaeans (and who was married to Helen’s sister Clytemnestra), gathered an army and brought it to Troy, where Alexandros and Helen had fled. When The Iliad opens, the Greek forces have been besieging Troy for nearly ten years and everyone on both sides is tired and discouraged. The Iliad begins, like so many epic poems, in medias res, that is, in the middle of the story, and the audience is expected to know the background. There is nothing strange about this technique, and modern writers use it frequently. Anyone who reads the earlier novels of John Le Carré, for instance, has to know about the enmity between Britain and the Soviet Union and the series of spy scandals that afflicted the British Secret Service. Homer’s audience would have known the story I just told, and they would have known, too, that the Achaian army (Achaian, Danaan, and Argive all refer to the Greek forces) supported itself through the ten–year siege by raiding nearby territories and taking provisions or kidnapping people who could be held for ransom or simply kept as slaves. Often such victims of kidnapping were women, who would be parcelled out like other items of booty. 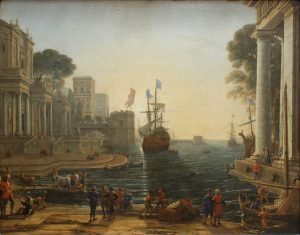 Shortly before the beginning of The Iliad, the Greeks had staged one such raiding party and captured two women, Chryseis and Briseis, who were given as prizes to Agamemnon and to the greatest warrior among the Achaians, Achilleus, who happened to be the son of Thetis and Peleus, at whose wedding, ironically, all the problems had begun. (Everyone knows the story of how Achilleus’ mother dipped him in a magic river to make him invulnerable, except that she forgot that the hand she held him with covered his heel, which became his only vulnerable spot. Homer never mentions that story and it is irrelevant to The Iliad.) As the poem opens, Chryseis’ father comes to the Achaians and, with the help of a plague sent by Apollo, convinces Agamemnon to return his daughter to him. Agamemnon does so, but, in order to assert his authority as leader of the Achaians, he demands that Achilleus give him Briseis. In making this demand, Agamemnon indicates the kind of proud bully that he is; and in unnecessarily alienating his best warrior, he gives some indication of his strategic acumen. This kind of behavior will be repeated throughout the poem, but I will offer no more summaries of the poem. The Iliad is meant to be read (or heard), not summarized. Of course, The Iliad is fairly difficult to read. Perhaps anything worth doing is difficult. I am not sure. But I am sure that reading The Iliadis worthwhile and that once a person starts to read it, it becomes progressively easier. We do have to remember, however, that this is a poem that was finally written down almost three thousand years ago and that much has changed during that time, including our expectations about literature. What continues to amaze me is that, given all those differences, so many things have remained the same. As we read The Iliad, we may initially be struck by the differences; but as we get used to the poem and as we look more deeply into it, we will undoubtedly see ourselves. Be prepared for that to happen. It can be a shock. I can provide a few hints that can make the reading a bit easier. One that I have already mentioned is to read the poem out loud as much as possible. And read it dramatically. (I would read this way at home rather than on a bus or subway, but that may be just a personal preference.) Remember that this poem was not meant to be read quickly. Neither Homer nor any member of his audience would have understood the concept of speed reading, so slow down and savor the poem. Just to complicate things a bit further (as though having two characters named Aias is not complicated enough), characters are often called “son of father’s name.” Thus, Agamemnon and Menelaos are both sons of Atreus (and are thus known as Atreides). Achilleus is the son of Peleus, Diomedes is the son of Tydeus. If all of this sounds confusing, I promise that the confusion will disappear as you get involved in the story. Another hint concerns the second half of Book II. Just as you begin to get involved with the story, everything stops halfway through Book II so that Homer can present what is called the Catalogue of the Ships, a long list of all the warriors who came to Troy and where they came from. This list serves at least two functions. One is that it allows Homer to show off his skill at fitting all of these names into the strict metrical requirements of the verses. A more significant function is that it served as an historical record for the ancient Greeks while at the same time illustrating how important this war had been for their ancestors. (A friend of mine once met a gentleman from Greece at a party. When the Greek gentleman mentioned his birthplace, my friend said he had never heard of it. 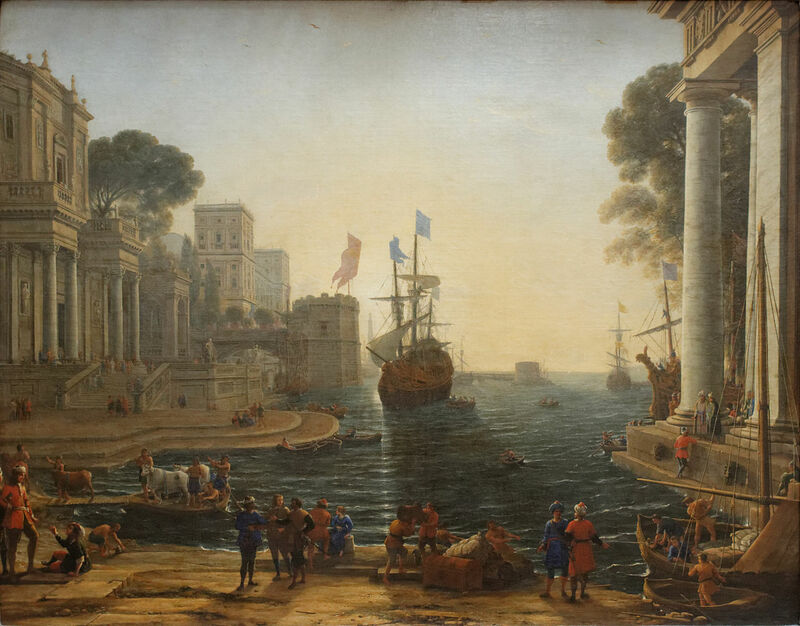 The Greek gentleman drew himself up to his full height and said, “We sent two ships to Troy.” So for him, at least, that catalogue was still meaningful. Archaeologists have also made use of the Catalogue to identify some of the ancient cities that are mentioned.) Despite the historical importance of that catalogue, however, my recommendation is that when you get to it, you should skip directly to Book III so that you can maintain the continuity of the story. My last hint concerns the many battle scenes in the poem. We in twenty-first-century America have certainly become accustomed to violence in literature and film, not to mention everyday life, but of course we did not invent violence. The Iliad is full of violence. In its many pages of battle scenes, we read of hundreds of deaths, often described in graphic detail. These descriptions are hardly pleasant, and they get worse as the poem continues, but they are a very important part of the poem. You may tire of the battles and you may want to skip over them and over some of the gorier details. Do not give in to that impulse. If those scenes disgust you, the poem is working. Let me begin discussing The Iliad by elaborating on that point. The Iliad is an epic poem (more about that later) and epic poems are so often full of fighting and other kinds of mayhem that many readers, relying on superficial readings, on their own prejudices, or on the traditions that exist about such things, assume that such works glorify fighting and mayhem. Such readers are likely to talk about “codes of honor” or “heroic codes” and to picture epic poetry as consisting of the kind of stories that warriors listened to around the fire after dinner in order to fortify themselves for their next battle. Invariably this approach to the literature encourages the glorification of such “traditional male values” as strength, speed, ferocity, ruthlessness, and bloodthirstiness. Of course, I am exaggerating, but not too much. Sophisticated readers tend to make these points in more, well, sophisticated ways, but the result is much the same: The Iliad is about the heroic code, they say, and Hektor, for example, is a hero because of his adherence to that code despite the odds against him. The twentieth-century philosopher Simone Weil even wrote a short book about The Iliad called The Iliad: or The Poem of Force. Weil wrote her book during the Second World War, which had dramatic effects on her life and which influenced the way she saw the poem (just as the world that I inhabit affects my view of the poem); but what Weil says about the poem as a kind of ultimate expression of the power of force is quite incorrect, just as those readers who claim that the subject of the poem is the “wrath of Achilleus” are incorrect. Certainly the wrath of Achilleus is mentioned in the poem’s first line, but we have to read by sentences, not by lines, and the rest of the first sentence describes the consequences of Achilleus’ wrath: death, corpses being devoured by scavengers, and destruction. These products of wrath and battle are not being glorified in the poem. To strike Idomeneus, but he, too quick with a spearcast struck him in the gorge underneath the chin, and drove the bronze clean through. He fell, as when an oak goes down or a white poplar or like a towering pine tree which in the mountains the carpenters have hewn down with their whetted axes to make a ship timber. But The Iliad is more than simply a poem that describes the horrors of war. It explores the behavior of extraordinary human beings, male and female, in a world that is characterized by this war. The poem explores what it means to be a human being in a world where such wars, such shame, such mortality exist. Given the fact of human mortality—and the fact that we are so often in such haste to hurry it along—how do we, and how should we, continue to live in this world? These are Homer’s questions, and he addresses them throughout the poem. Perhaps the best way to begin looking at these points is by considering two scenes from Book VI. The first of these scenes actually illustrates at least two important points. The first has to do with the question of realism. In many ways, The Iliad is quite realistic, that is, it gives us a feeling for what the events might really have been like, as we saw in the description of Asios’ death. But The Iliad is not a work of representational realism. It does not pretend to portray everyday actualities. Later in the poem there will be a scene when Achilleus appears to be covered by a divine fire and sends the Trojan army running just by shouting. Or earlier in the poem, Helen appears on the ramparts and Priam, the Trojan king, asks her to identify all of the Achaian heroes who are arrayed against the Trojans. That scene might indeed seem realistic, except that the war is in its tenth year and it hardly seems likely that Priam has just gotten around to asking who his enemies are. There are, of course, explanations for each of these scenes, but the main point here is that we must not expect Homer to be realistic in the most common sense of the term. What the poem tells us about human existence is real, but the events of the poem are not necessarily realistic. Such is the case in Book VI. When the book opens, the Achaians and the Trojans are engaged in a major battle. It is difficult for anyone who has never been in a battle to imagine what it is like, but we must try to picture the tumult of hand-to-hand combat, with spears and arrows flying through the air, armor plates banging against each other, men shouting battle cries and other men, like Asios, screaming in pain. The picture has to be one of nearly total chaos. In the midst of this chaos, two soldiers—Diomedes, from the Achaian side, and Glaukos, from the Trojan side—encounter each other. It is customary in Homeric battles—and it was probably the case in real battles—that when two warriors meet, they speak to each other, perhaps to issue a challenge or to offer insults or to boast about their prowess. (We can see this custom today in sporting events, where it is known as talking trash. Many things do not change.) As Glaukos and Diomedes approach each other, amid the tumult of the battle, Diomedes challenges Glaukos, asking who he is that he dares to stand up against Diomedes’ power. Diomedes assures Glaukos that if the latter is one of the gods, he will not fight with him, and he explains why in a story that takes up sixteen lines. Glaukos responds by giving his own family background and, in over sixty lines, tells stories about his ancestors. We must recognize that such pedigrees were very important to these people. A warrior had to establish his nobility, and family background was one of the criteria; but we must also remember that this lengthy exchange takes place against the noise and chaos of the fighting. Furthermore, when Diomedes learns who Glaukos is, he realizes that in days long past, his grandfather and Glaukos’ grandfather had been allies, so he drives his spear into the ground and proposes that they vow never to fight against each other. Both warriors jump from their horses, shake hands, and, as a sign of their agreement, exchange armor, which means, obviously, that right there on the battlefield, with spears and arrows flying everywhere, they each remove their armor. Even those of us who have never been in a battle would have to agree that removing one’s armor in the midst of battle is not a recommended procedure, but the narrator’s only comment is that Glaukos got the worse end of the deal, since his armor was more valuable than Diomedes’. “High-hearted son of Tydeus, why ask of my generation? This philosophical and highly poetic response, based on an extended metaphor, hardly seems appropriate to a battlefield conversation; but if we forget about realism, it turns out to be amazingly appropriate. The battlefield is the site of death on a massive scale, and Glaukos’ words address human mortality. The comparison of human life to the short life of plants is hardly novel, but Homer goes further than that. Individual human beings are like the leaves, which after a short existence will fall and be scattered by the wind; but the tree itself will continue to create new leaves, just as human beings will continue to flourish, even though individual generations will die off. Glaukos’ words here, however, are insufficient. He is responding to Diomedes’ challenge and so he downplays the worth of the individual in relation to the whole of humanity. The subsequent action, however, shows also the value of the individual. It is because of such values, as evidenced by their grandfathers, that these two warriors find and extend the link between them, and they, too, as individuals are vitally important. That is why the narrator’s closing comment on the scene, when he remarks that Glaukos lost out on the exchange of armor, is a test for the audience. Does the audience think that the value of the armor matters? That value had become irrelevant. What matters is that amidst the dead and dying, vivid reminders of human mortality, Glaukos and Diomedes have managed to come together and somehow affirm life rather than death. This triumph, unfortunately, is a small one, since death and battle will continue, but even minor triumphs are triumphs. The other key episode of Book VI involves Hektor. 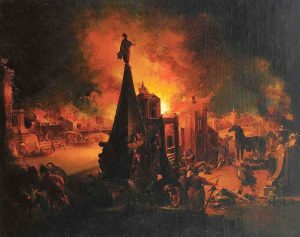 Still the battle is raging and Hektor’s brother Helenos advises him to return to the city and ask the women of the city to offer a sacrifice to Athena so that the goddess might help the Trojans. The audience knows, of course, that such a sacrifice is futile because Athena is sworn to help destroy the city, but even beyond that tragic irony is the irony of sending the Trojans’ best warrior away from the battle on such an errand. It would be like asking Babe Ruth to leave a World Series game in order to get coffee for the team. It makes no logical sense and it would never happen. On the other hand, as the action of the book develops, it makes a great deal of sense, because what happens to Hektor in Troy is vitally important to the themes of the poem, so that the sacrifice of realism becomes a minor, and easily overlooked, inconsistency. When Hektor arrives at Troy, he meets his mother Hekabe and asks her to offer the sacrifice to Athena, which she does and which Athena rejects. Then he meets Paris, whom he rebukes for staying in Troy with Helen while all the other men are out fighting his battle for him. And finally he goes to find his wife Andromache. Hektor first looks for Andromache at home, but he is told that she is on the ramparts with their baby son watching the battle. (This detail is important because later, when Hektor is fighting his final battle with Achilleus, Andromache is not on the ramparts watching. Instead, in a kind of pathetic reversal of this scene, she is at home preparing a bath for what she thinks is the imminent return of her husband.) When Hektor finds Andromache on the ramparts, husband and wife have one of the most central and revealing conversations in the poem. To get the full import of this conversation, we must remember that Hektor, hero though he may be, is a young man, the husband of a young, loving wife. He is widely respected, and even Helen says that he alone has been consistently kind to her. He has been the Trojan leader in this awful war, loyal to his city even though he has doubts about the rightness of the city’s cause regarding Helen’s status, though by this point the war has taken on a life of its own and Helen’s status barely seems to be an issue any longer. When Hektor approaches Andromache, she weeps and pleads with him to stop putting himself in so much danger. She suggests that he pull his troops inside the city walls and concentrate them at the weakest spot, where the greatest attacks might be expected. Her plan would protect the city and the warriors, and it makes a lot of strategic sense. She strengthens her argument by telling him something that he already knows but that the audience does not know, that she has only Hektor and their son in the whole world, since her father, her mother, and her seven brothers have all perished at the hands of Achilleus. With some justice, she fears that Hektor will suffer the same fate, and she knows that her life as a widow in a conquered city will be hellish. What she has done, then, because she loves him and needs him, because she is a woman in a society that did not greatly value women, is put Hektor in the position of having to make a clear choice, which he certainly does. He tells her that he knows that what she says is accurate: he knows that if he follows his present course, Troy will be conquered and he will die. What upsets him most, however, is her fate, for she will be carried off into slavery by the conquerors, who will not only abuse her physically but who will also mock her as the widow of Hektor. So why does he not change his strategy and follow her advice? His only hope is that he will be dead before Andromache is captured so that he may not hear her screaming and know that what he foresees has actually happened. Every time I read The Iliad, I find myself wishing that Hektor would change his answer and prevent the whole calamity from happening. He knows that if the Trojans continue to pursue the course they have been following, he will be killed and they will be conquered and destroyed. About the ultimate fate of Troy there can be no question (and remember that we have only recently heard Glaukos’ words about human mortality). Furthermore, Hektor knows what will happen to his beloved Andromache when he is dead and the city is conquered. Nevertheless, he sees no way to implement her plan, because he has to win glory for himself. If he did what Andromache suggests, he would feel shame, not simply because he would be following a woman’s advice but because he is trapped by the heroic code, which dictates that the only way to win glory is through battle, through what was thought of as “manly” behavior. He could, conceivably, prevent his own death, the enslavement of his wife and son, and the destruction of his city, but he will not do so simply on the basis of pride. If we juxtapose Hektor’s words here with Glaukos’ words earlier in the book, as well as with the actions of Glaukos and Diomedes, we can see Homer building a pattern that will continue to develop throughout the epic. 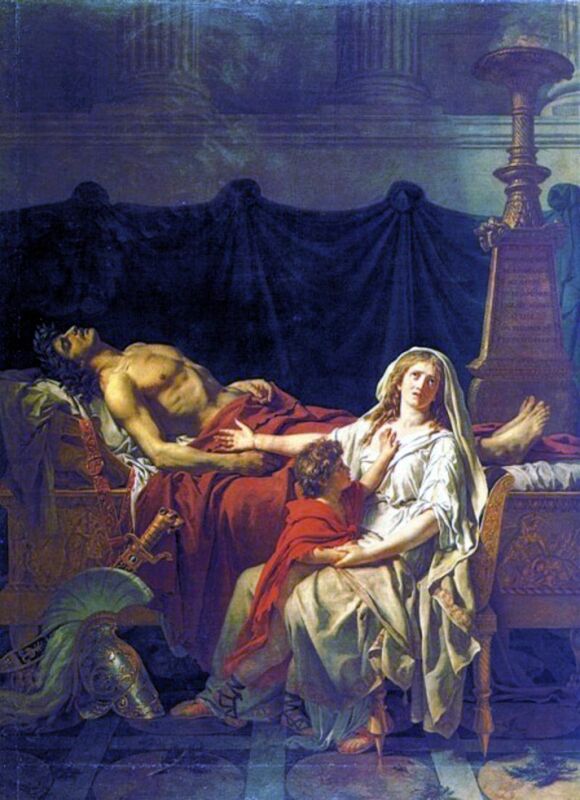 This scene, however, offers a particularly tragic part of the pattern, for Hektor knows that what Andromache fears will come true, yet he feels constrained to abandon his beloved wife and infant son for the sake of a pride that has little value. He knows from his meeting earlier with Paris and Helen that Paris is unworthy and that Helen despises her new partner. He knows that his city will be destroyed. None of those factors matter to him as much as his pride, as his need to lead the fighting in a cause that is both futile and wrong. What a tragedy. 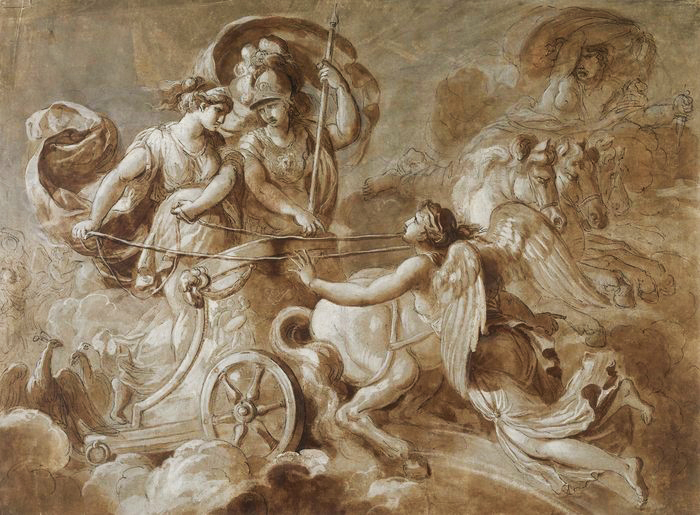 This scene between Hektor and Andromache, the only scene in the poem that shows a warrior with his family, contributes to one of the poem’s major themes, its stance on war, and to do so it relies on the role that women play in the poem. War is clearly the province of men, who recognize its dangers but who believe in its nobility. They know the risks that they take. They know that they will either die gloriously in battle or live gloriously as victors (since no one in the Homeric poems ever survives with a disabling injury). These men have choices to make about their own destinies, though death, of course, is ultimately inevitable. But what about the women? Not only can they not choose to go out to the battlefield, that is, not exercise that particular kind of choice over their destinies, but their destinies are entirely determined by the fates of the men, who generally make their choices without considering the women. So Hektor, based on his male notion of glory, makes the decision for himself, his family, and his whole city, knowing full well what the consequences are likely to be. 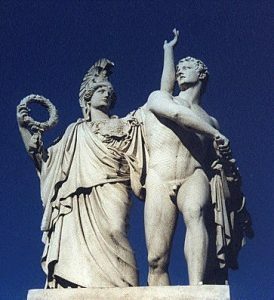 He allows himself to be trapped by a macho idea of glory into fighting a war that he knows is basically dishonorable and that he could end relatively quickly, a point that the ancient Greek historian Herodotus makes (2:120) when he discusses the ancient question of whether the real Helen was actually in Troy during the war. And while the decision to continue fighting is not an easy one for him to make, the consequences that he foresees for Andromache are surely worse than those he will face: he will die, which may not be a good thing but which happens quickly, while Andromache, who does not share his idea of glory and who has no role in making the decision, will continue to suffer for years. In this way, Homer undercuts the heroic ideal. We cannot say that Andromache is, after all, only a woman and that her fate is therefore not terribly important. Homer makes it important, and he emphasizes his point when Hektor reaches out for his infant son, who is frightened by his dirt-and-blood-covered father in his horsehair crested helmet. When Hektor removes the helmet, his son comes to him happily. As we read this scene, we must keep returning to Glaukos’ metaphor of the tree. Yes, the leaves will pass, because they, like us, are subject to mortality; but the leaves will die in their own time. They have nothing like war to hasten the process. This scene, short though it may be, is hardly an isolated episode. We may remember that the whole crisis of The Iliad occurs over the status of the captive Briseis—does she belong to Achilleus or to Agamemnon? Despite the centrality of her position in the story, she herself does not appear in the poem until Book XIX, when she laments the death of Patroklos, explaining that like Andromache, she, too, has lost her whole family to the war and only Achilleus’ friend Patroklos has been kind to her. Therefore, she says, she weeps for Patroklos. This is as strong a condemnation of the idealization of battle glory as I can imagine, and it is no accident that Homer put it into the mouth of the woman Briseis. Like Andromache, who lost her father and brothers in battle, Briseis lost her husband and brothers; Andromache, fortunately for her, has been happy with Hektor, while Briseis has been turned into a war-prize (which, unhappily, will be Andromache’s fate as well). In fact, part of Briseis’ salvation had been the promise that she would become the wife of the man who slew her husband. Such is the fate of women according to the heroic code that Homer’s heroes (and their modern supporters) glorify. Accordingly, Homer’s narrator makes a significant comment here: as Briseis laments, so do the women who are with her, “openly for Patroklos, but for her own sorrows each.” Briseis’ lament is ostensibly for her rescuer Patroklos, but really it is a lament for herself, for the sorrows that she, as a woman, has suffered because of the men’s wars. Her father and brothers are dead—their suffering is over. Her suffering, and that of her female companions, continues. It is true, of course, that these episodes concerning Andromache and Briseis, even if we add to them those concerning Helen and Hekabe, comprise only a few lines out of the thousands that make up The Iliad. Nevertheless, these relatively few lines are essential to the work. The Iliad is largely concerned with examining how human beings confront their mortality, but if we focus only on the male heroes, we get only a partial view. These lines about women not only provide another view of human mortality, but they transform the glorification of war. They are a reminder to anyone who thinks that Homer’s gorier descriptions somehow recommend the joys of carnage. Without them, The Iliad would be a far different poem. But it would not be completely different, because similar themes appear elsewhere in the poem. One of the most noticeable spots involves the shield of Achilleus. After Achilleus’ friend Patroklos is killed in battle wearing Achilleus’ armor, Achilleus asks his mother to get him new armor, and, as always, she does what he asks. 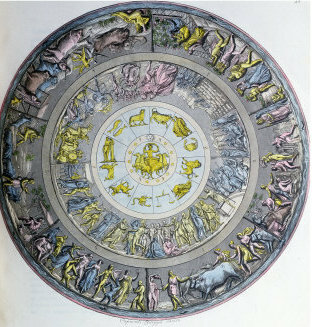 She visits Hephaistos, the god of fire and of the forge, who creates a magnificent set of armor for Achilleus, including a shield that is covered with scenes of human life, scenes to which Homer devotes considerable attention. Once again, in describing the shield of Achilleus, we leave the realm of representational realism. First of all, to contain all the scenes that Homer describes, the shield would have to be as big as a football field. Furthermore, the poem’s narrator offers a great deal of commentary on the scenes that would be impossible to know just from looking at them. The scenes on the shield begin with the earth, the sky, the water, and the heavenly bodies, natural elements that place the rest of the scenes in the context of our world and confer on those scenes a cosmic significance. This context is important, for the next scenes we see portray two human cities. In the first city, a wedding is taking place, with appropriate celebrations, though in the marketplace an argument has broken out. Apparently one man has killed another, so the killer and the deceased’s kinsman are arguing over the penalty. Surprisingly, the killer is offering more than the kinsman is asking, so the two go to the elders for arbitration and a prize is available for the person who comes up with the best solution. This is a city at peace, where marriages and festivals, symbolic of union, of fertility, of life, are celebrated. This is a real city, however, populated by real people, and so there are disagreements and potential strife in the city as well, as in the case of the two men. In the world of The Iliad, the solution would lie in violence: the families of the killed and of the killer would settle the issue by fighting, just as the Achaians and Trojans are attempting to settle their quarrel through war. In the world of the shield, however, there is an attempt at arbitration, and when the family of the deceased refuses the initial offer, there is further arbitration with a prize being given not to the best warrior in the city but to the person who devises the best peaceful resolution. No wonder there are festivals and marriages in this city—the city operates on the basis of law and intelligence, not on the law of the jungle. The other city depicted on the shield is quite different. This city, with its “lovely citadel,” like the citadel of Troy, is, like Troy, under siege, and the warriors’ wives and children stand on the city wall. This is a city characterized by ambushes and treachery, by Hate and Confusion and Death. This is, in short, a city that embodies all the horrors of Troy, and it stands in sharp contrast to the other, ideal city. But The Iliad is not a poem of simple contrasts. If the warriors were all evil men, it would be easy to dismiss them, but many of them are quite appealing. Hektor is a good person who is trapped by the image he and his society have created of himself, of what they think constitutes a hero, and who consequently makes some poor decisions. Diomedes is a fierce warrior who can demonstrate moments of true nobility. Telamonian Aias is a quiet giant who always tries to do his best and who maintains his integrity throughout the poem. 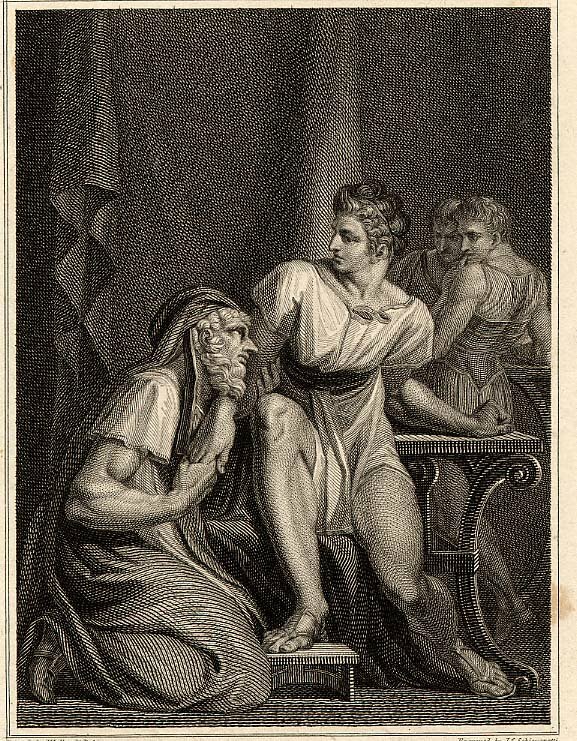 Even Menelaos, who is depicted as a weak and colorless character, has a good side, especially when he is contrasted with his brutal bully of a brother, Agamemnon. It should be obvious that I am speaking about these characters in a book as though they were real people. Recently I heard someone ask, “How can readers fall in love with a character in a book? Characters are just collections of words.” That might be a very contemporary and sophisticated approach to literature, but it is not true to the experiences of readers, who act as accomplices to authors in giving life to the words. I feel sorry for the person who sees literary characters as “just collections of words.” Why, I wonder, would such a person study literature? The characters in The Iliad range from the very simple, like those who appear in a single line, just long enough to be killed, to those who are as complex as people we might know. One of the reasons The Iliad has retained its popularity for about three millennia is because the characters are so real. 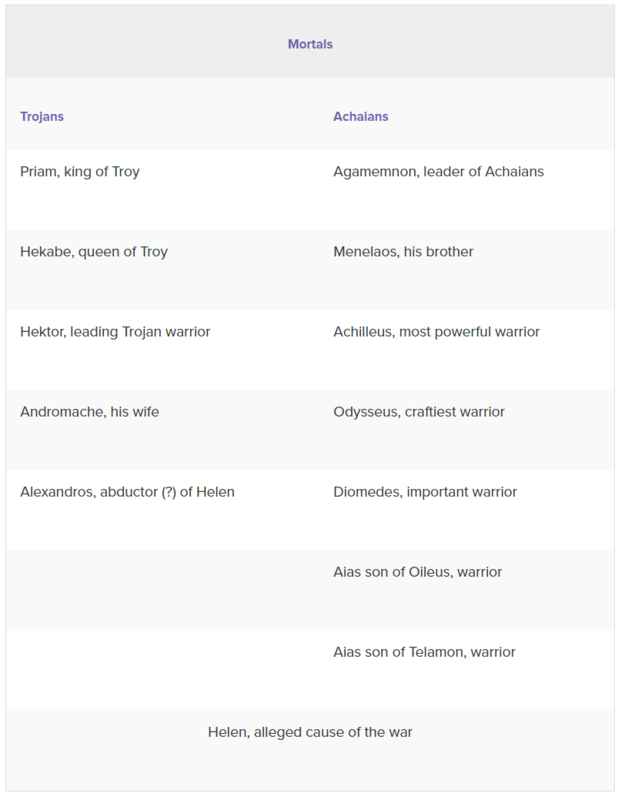 To show what I mean, let me briefly explore two characters, Agamemnon and Achilleus. Both his speech and his actions are full of gratuitous cruelty, and it is hard to believe that when Homer calls him a “hero” (in line 61), he is not being ironic. This kind of cruelty is what Agamemnon is all about. When he puts his foot on Adrestos’ belly in order to get his spear out of the dead man’s body, he deprives the poor young man of all humanity. Similarly, when Agamemnon is in battle (in Book XI), he is described in far more brutal terms that almost any other warrior; but when he is wounded, the description becomes quite extraordinary, as his pain is compared to the pain of a woman in childbirth. Now we may be certain that the pain of childbirth is severe, but the comparison of a wounded warrior to a woman in labor would have been viewed as highly insulting (to the warrior, of course). In short, by using this simile, the narrator reveals something else not so flattering about Agamemnon: he may be a bully, but he is also weak. Nevertheless, toward the end of the poem, after Achilleus has lost his best friend and has re-entered the battle, Agamemnon is relatively gracious in acknowledging Achilleus’ superiority, in giving him gifts, and in allowing Achilleus to keep Briseis. Of course, at that point he also desperately needs Achilleus to re-enter the battle. As we step back and look at Agamemnon, we can see that he is a disagreeable man, but we can also see that he is a commander who has gotten himself into a situation that is beyond his ability to understand or to control. It hardly comes as a surprise that according to the myth, and according to Aeschylus’ play Agamemnon, the first thing that happens when Agamemnon returns home after the war is that his wife kills him. At the same time, in Homer’s presentation of him, we can see, even if only barely, other sides of his personality. 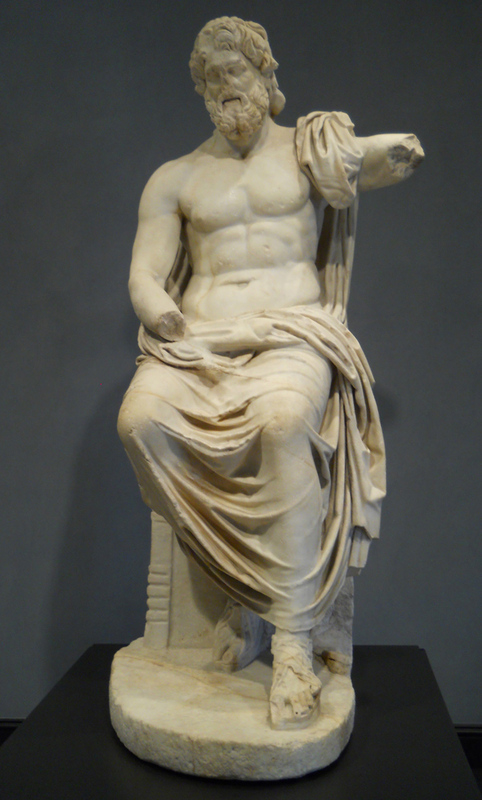 An even more complex character, the most complex in the poem, is Achilleus. Through most of the poem, he is little more than a spoiled child, sulking in his tent, refusing to help his comrades, weeping to his mother. Then, once Patroklos has died, he turns into a phenomenal killing machine, spreading terror and destruction everywhere, making Agamemnon’s brutality appear casual and insignificant. Even the river, which has become plugged up with the bodies of warriors he has killed, tries to stop him; and he goes so far as to capture twelve young Trojans whom he later slaughters at his leisure during Patroklos’ funeral. Finally, after he kills Hektor, he desecrates that hero’s body and then refuses to bury it, sacrilegious behavior indeed. None of these actions make Achilleus the least bit appealing or complex as a character, but in Book IX we learn one fact that entirely transforms him. As he explains to the delegation who have come from Agamemnon to ask him to return to battle, his mother had told him long before that he has a choice to make: he can either stay at Troy, fight, die, and gain great glory or he can leave the battle, go home, and live a long life in obscurity. These alternatives, of course, are the same alternatives that every warrior in the poem faces, but they are stated most starkly in the case of Achilleus. Thus, more than any other character in the poem, Achilleus must constantly confront his own mortality and the value of the heroic code, for he knows that if he stays at Troy to win glory in the battle, he will die there. Even Hektor’s feeling that Troy will be defeated is a guess, accurate though it may be, but Achilleus knows for certain that he must choose between life and death. When he sits in his tent during the battles, part of the reason is certainly that he is sulking over Agamemnon’s insult, but another part is that he has not fully committed himself either to dying gloriously at Troy or to living without glory to an advanced age at home. We must remember that the Greek concept of an afterlife at this time was somewhat vague and frightening. In The Odyssey, when Odysseus visits the Underworld, he finds it to be a place of darkness and boredom, and the ghost of Achilleus there explains that it would be better to be the lowest kind of slave on earth than to be in the Underworld. 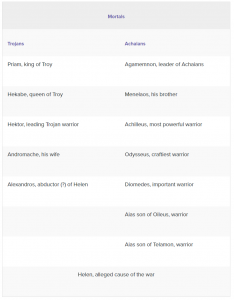 This information makes Achilleus’ choice even starker, and he only really chooses after Patroklos has died, when he almost instinctively re-enters the battle and commits himself to death at Troy, a decision he seems to regret in The Odyssey. That is a huge choice for a young, vigorous man to make, and it helps to explain many facets of Achilleus’ behavior. Of course, we all have to face our own mortality at some time, but the dramatic nature of Achilleus’ situation may help us to put our mortality in perspective and to choose the ways we must act. As I write these words, I am aware of how much I am simplifying The Iliad and its characters. Such simplification is inevitable when we write about literature, just as it is when we write about people. My description of a person can never substitute for the experience of meeting the person, and my words about these characters are intended only as an introduction for readers who are about to meet the characters by reading the poem. I paused in my discussion by inserting that last paragraph because I now must approach one of the most touching and painful scenes in The Iliad, the meeting between Priam and Achilleus in Book XXIV. Once again I will set the scene: Achilleus, having killed Hektor in battle, has kept the body, an action that outrages even the gods, who prevent the body from decaying. 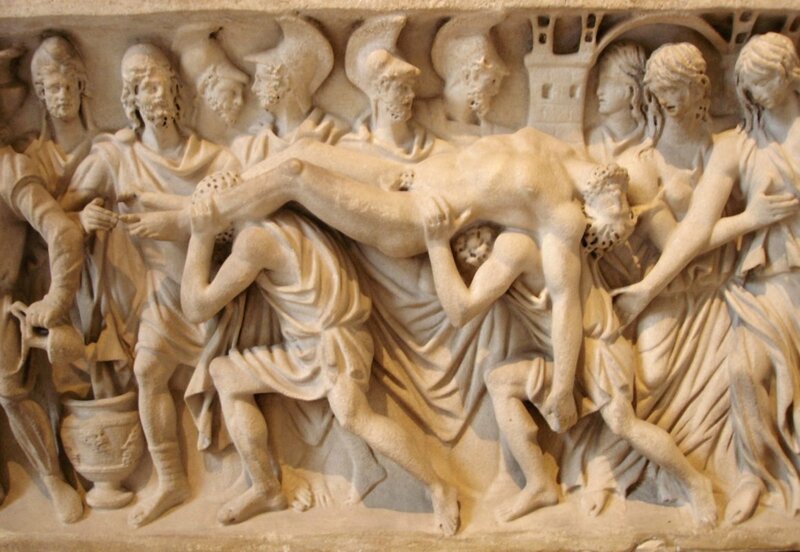 Finally Priam, Hektor’s father, is prompted by the gods to bring Hektor’s body back for proper burial. This is a task full of risks. It requires the aged and rather helpless king to cross through the enemy lines and to approach his deadliest enemy. Fortunately Priam is accompanied by the god Hermes (also called Argeiphontes) who has taken on the guise of a Trojan youth and who uses his divine power to bring Priam through in safety, all the way to Achilleus’ tent. 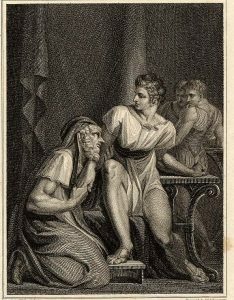 Priam enters the tent, falls to his knees, embraces Achilleus’ knees, and kisses his hands, then asks for mercy by invoking Achilleus’ memory of his own aging father, Peleus. When they have finished grieving, Achilleus takes Priam’s hand and helps him to his feet. Yes, The Iliad is long, very long, but it has all been leading to this scene. These two men, one young and vigorous, one old, both knowing that they face imminent death, commune silently. This image of the two noble men weeping together, mourning not only their own deaths, not only the deaths of the one’s father and the other’s son, but their whole understanding of human mortality, is so profound, so masterfully accomplished, that it is virtually impossible to discuss; and when Achilleus raises Priam to his feet and shows the older man the respect due to another human being, despite their sworn enmity, we suddenly understand so much. These men, despite the differences that separate them, are united by something far more powerful, their humanness, their attempts, failures though they may be, to deal with what it means to be human and mortal. It is a magnificent scene. Finally Achilleus addresses Priam, and he tells the older man that two urns stand at the door of Zeus, an urn of evil and an urn of good. Zeus, who distributes the evil and the good, does so in two ways. Either he gives a man a mixture of good and evil or he gives a man all evil. What a picture of human existence Achilleus paints here. According to him, we face two possibilities from these urns. Either we have all evil or, if we are fortunate, we get a mixture. No one gets all good. Priam and Achilleus have finally faced a basic truth that all the boasting, all the fighting, all the rituals of the war cannot cover up, and what Achilleus says here is also true for the good city depicted on his shield. Human beings could, if they would, increase the amount of good, but always we must accept the evil. They are part of being human. 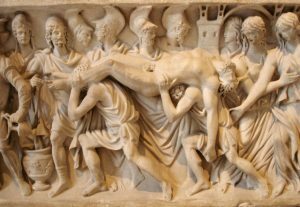 Having understood these things, Achilleus returns Hektor’s body to Priam and promises to give him a nine-days truce for the Trojans to hold their funeral rites. Then, of course, the war will continue to its inevitable conclusion. Priam takes the body and returns to Troy, and The Iliad concludes with the laments of three women, Andromache, Hekabe, and Helen. There is such sadness here, such a deep feeling for those imponderable aspects of life that we face every day. It is amazing to realize that we share these imponderables with the people who composed and who listened to this poem three thousand years ago. There are just a few things left that I would like the prospective reader of The Iliad to consider. One is the role of the gods in the poem. As we read The Iliad, we may find it difficult to believe that anyone ever worshipped gods who were this frivolous, quarrelsome, and generally ungodly. Even when characters in the poem worship the gods, primarily they are trying to appease them; but as we saw in Book VI, even valuable gifts do not always win the favor of the gods. Occasionally scenes that involve the gods are humorous. 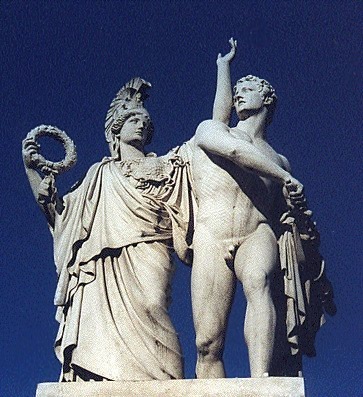 Some of the quarrels between Zeus and Hera, for instance, when they seem like the archetypal married couple who cannot get along or when they scheme and plot to outwit each other, are actually funny. (My favorite is when Zeus tries to tell Hera how beautiful she is and he compares her to all the young mortal women with who he has had affairs.) Similarly, when Ares, the fierce god of war, whom no one likes, neither gods nor mortals, receives a minor wound in battle, he must be led groaning from the battlefield by Aphrodite, which is surely another comment on the real nature of war. But the gods are not in the poem for comic relief. They have a much more serious role. Why is it funny when Ares is wounded? Of the hundreds of characters who are wounded in the poem, only Ares’ injury is humorous. One reason, of course, is that he is the god of war, and we expect him to be a better fighter or, at least, to seem a bit more courageous when he is wounded. But the answer goes even deeper. We can laugh at his wound because we know that it is meaningless. Ares is immortal, and no matter how badly he may be wounded, he will quickly recover. Consequently, what is deadly serious for the mortals is nothing more than a game for the gods. No matter how deeply committed the gods may be to one side or the other, the war is only a diversion to them. While the mortals are slaughtering each other, the gods are rather like sports fans, who truly want their teams to win but to whose lives the teams’ fates are not central. From the perspective of the gods, the Trojan War is sort of fun; and it also offers them an opportunity to continue ancient alliances or rivalries. Zeus, who avoids such alliances and rivalries, knows from the beginning what the outcome will be, and while he can change the details of the war—for instance, who triumphs in a particular battle—he cannot change what is destined to happen. There is, in fact, an implicit clash in The Iliad between destiny and free will, especially for the gods, but Homer never fully addresses the complexities of the problem. In one scene, however, Homer does address that question and at the same time shows how the war can become a serious issue even for the gods. In Book XVI, Patroklos is fighting with Sarpedon, who is Zeus’s son. Zeus, who knows that Sarpedon must lose in this encounter, tells Hera that he is thinking of snatching his son out of the battle and wafting him back to his homeland. 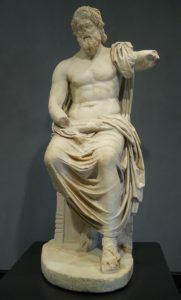 Hera, who is usually at odds with her husband, responds that Zeus certainly has the power to do what he suggests but that he should not do so because if he does, then all of the gods will want to save their favorites from death, thereby obliterating the distinction between gods and mortals. Zeus, she says, should allow Sarpedon to die, as mortals are meant to die, and then give him a good funeral. In giving this advice, Hera is unusually sympathetic to Zeus, who agonizes over the decision and finally agrees with her, though he “wept tears of blood…for the sake of his beloved son” (XIV.459-60). We can see a number of important points in this episode. First, Zeus can, that is, he has the physical power to, alter the dictates of destiny. He can save Sarpedon’s life, and he desperately wants to save Sarpedon’s life, which indicates that the war has become something more than a simple diversion for him. But he may not save Sarpedon, because if he does, destiny will be diverted and the whole of the universe will be thrown off course. This moment is the most painful that any of the gods must face. (Aphrodite elsewhere can save Paris and Aineias because their death days have not arrived.) It is significant that in this crisis Hera, who has not been the most loving of wives, offers him consoling advice that he accepts. Even so, Zeus, the king of the gods, most powerful entity in the universe, weeps tears of blood, so deeply is he affected by the spectacle of human mortality when it concerns someone he loves. Suddenly the game has become serious and, because it concerns Zeus, it has taken on cosmic importance. This sense of cosmic importance is a large part of what makes the poem an epic. Certainly there are other conventions that contribute to the poem’s epic status, but it is important to remember that “epic” means more than simply “long.” It refers to a work that may be long, that may be written in an elevated style, that may involve long journeys or huge battles, but primarily it means a work that concerns a pivotal moment in the history of a city, a nation, a people, or even, in the case of Milton’s Paradise Lost, all of humanity. Consequently an epic also has cosmic significance, which means that it involves every aspect of the world, from the mundane to the divine. Other epics that may be of interest to readers of The Iliad are Virgil’s The Aeneid, the lengthy works from India called the Mahabharata and the Ramayana (in abridged versions! ), Beowulf, Dante’s Divine Comedy, Paradise Lost and Tolstoy’s War and Peace. There are two more brief points that I should mention about The Iliad. One involves something called “epic similes.” A simile, of course, is a comparison using “like” or “as.” Homer frequently uses similes, but they tend to be many lines long, like the similes at the beginning of Book III, in which Homer, at relatively great length, compares the Trojan army to wild birds taking off from a lake and the dust raised by the Achaian forces to the mist on a mountain. Homer could have said simply that the Trojans came on in a wild and disorganized way, whereas the Achaians seemed unified and controlled. That description would be much more concise, and also much duller. By using his epic similes, Homer draws out the action (which was, in actuality, a lengthy process) and he makes that action much more vivid, much more appealing to our imaginations. Remember that The Iliad was not meant to be speed read. It must be read slowly and savored, and the epic similes are part of the savoring process. The final point I want to make concerns the repetition of scenes. As I mentioned long ago, The Iliad contains many repeated passages, probably as a result of oral composition. But there are also a number of passages that are repeated with slight variations. In such cases it is important to pay attention to the variations, which are always there for a reason. For example, Homer loves to describe the way the heroes put on their armor before a battle, and we find many arming scenes in the poem; but each arming scene is slightly different. Thus in the arming of Agamemnon at the beginning of Book XI, we find Agamemnon being treated with the respect due to a commander, but we also notice that on his shield is the figure of the horrible Gorgon, along with Fear and Terror. Given the image of Agamemnon that we saw earlier, that shield is absolutely appropriate, as it reveals something about its owner. One of the funniest scenes in The Iliad is related to these arming scenes. Such scenes are, as we might expect, confined to the warriors, even if one of those warriors is the goddess Athena. But in Book XIV there is an arming scene that builds on the general structure of such scenes and is also quite different. Hera is planning to distract Zeus by seducing him so that, contrary to his orders, Athena can sneak into battle and aid the Achaians. This seduction is equivalent to a battle for Hera, and so, as she anoints her body with sweet olive oil and then puts on her sexiest goddess clothing, she repeats all of the conventional steps of an arming scene. There is not much in The Iliad that is humorous, but this scene is—if the reader is aware of what Homer is doing. By Theodore L. Steinberg, et.al, provided by SUNY Fredonia, published by Lumen Learning under a Creative Commons Attribution 4.0 International license. This entry was posted in Classics, Greece, Greek, History, Literature. Bookmark the permalink.